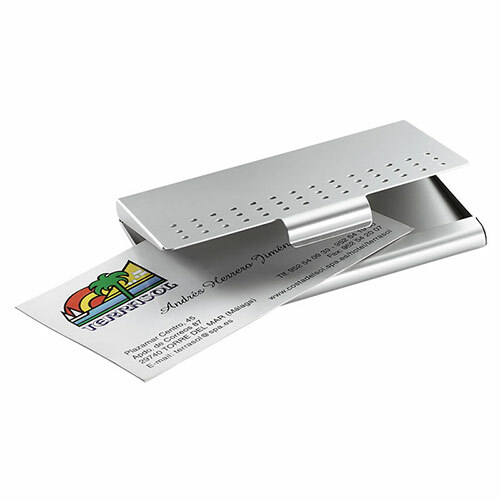 These stylish pocket business card cases are crafted in sturdy aluminum, perfect for keeping your business cards crisp and pristine. 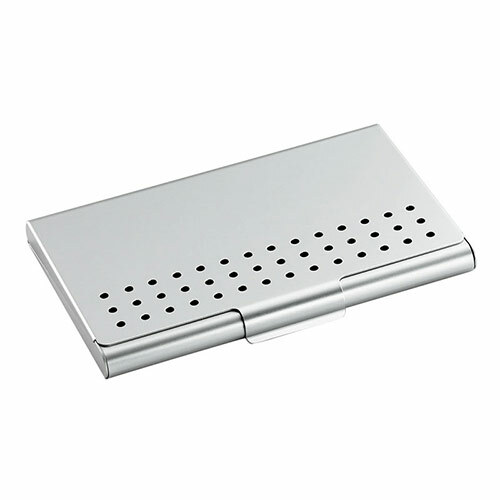 They feature a dotted pattern pierced lid and each case holds 8-10 standard size cards. They can be engraved on the lid to create promotional branded merchandise or business gifts.